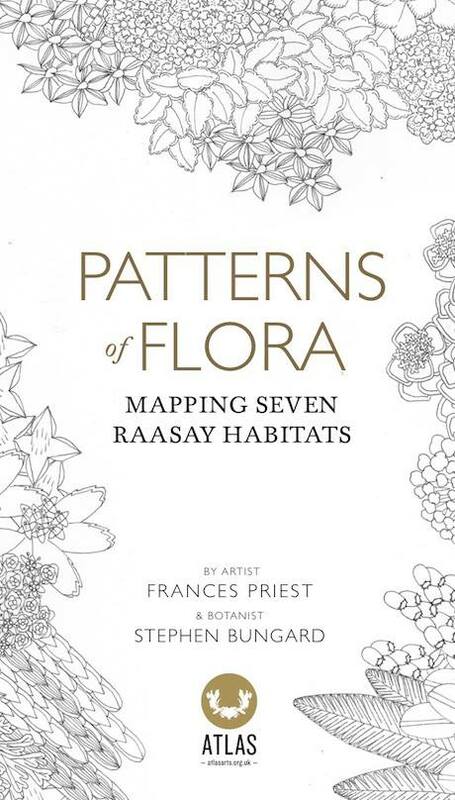 I was on the Isle of Raasay in early June, for the launch of Patterns of Flora | Mapping Seven Raasay Habitats. ATLAS Arts, based on nearby Skye, had commissioned Edinburgh-based ceramicist, Frances Priest to develop a series of handmade, ceramic artworks for permanent installation in Raasay House. The form and design of the artworks – vases, door knobs, door pushes and pieces for sills – are based on Raasay’s plant life, and in particular seven different habitats that host unique and varying plant species: Bog, Coast, Fresh Water, Limestone, Moor, Mountains and Woodland. Alongside these Frances designed a map, featuring the habitats with associated walks. 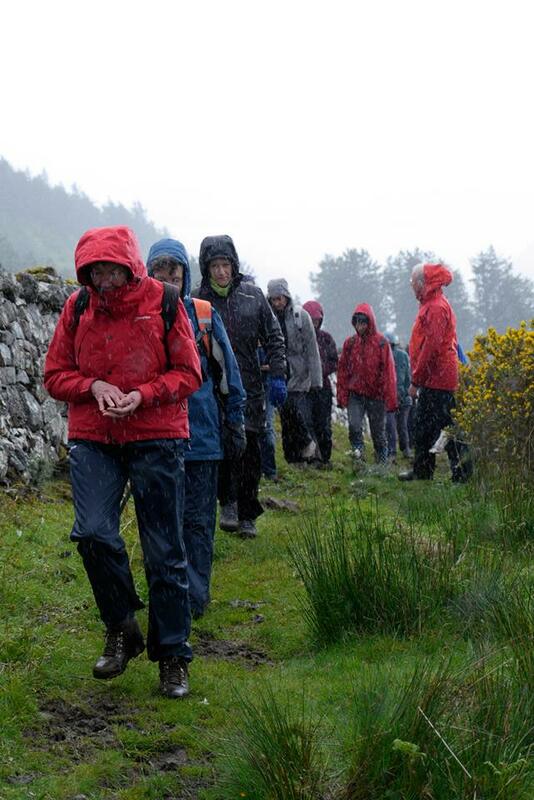 She collaborated with Raasay-based botanist Stephen Bungard. I was there to lead a ‘haiku walk’ on the Saturday afternoon, again working with Stephen. We went to the salt marsh at Oskaig, arriving at a particularly wind- and rain-swept moment, but the weather cleared and there was much to enjoy immediately around us, and looking across the sound to Skye and the Cuillins. I was struck by Stephen’s remark that the four aspen trees we saw were in fact all one, the trunks all sharing a single root. Back at Raasay House all was notebooks and concentration. na h-igheanan ’nan coille bheithe, / dìreach an druim, crom an ceann. the girls a wood of birches, / straight their backs, bent their heads.